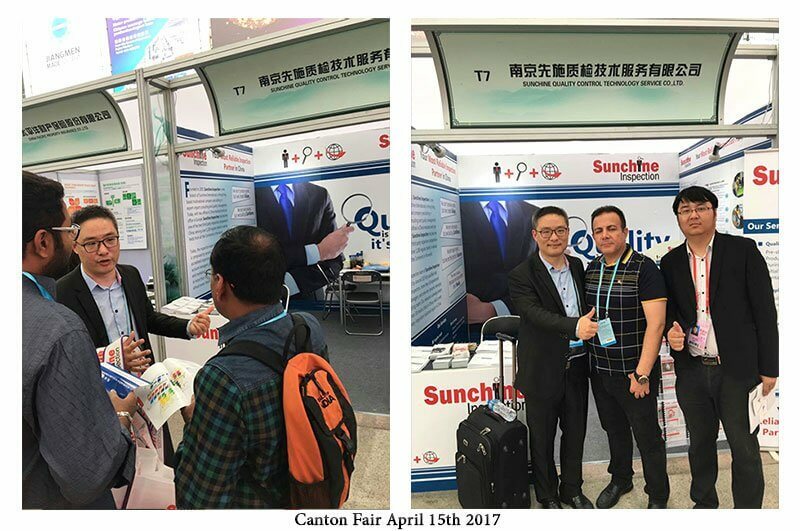 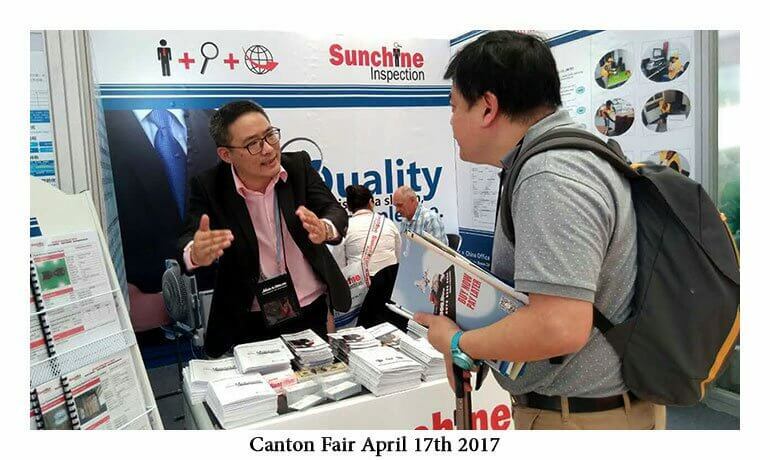 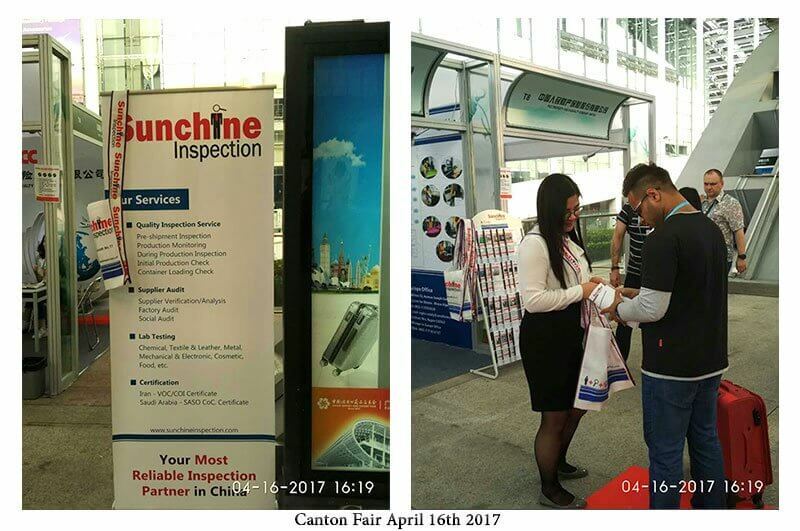 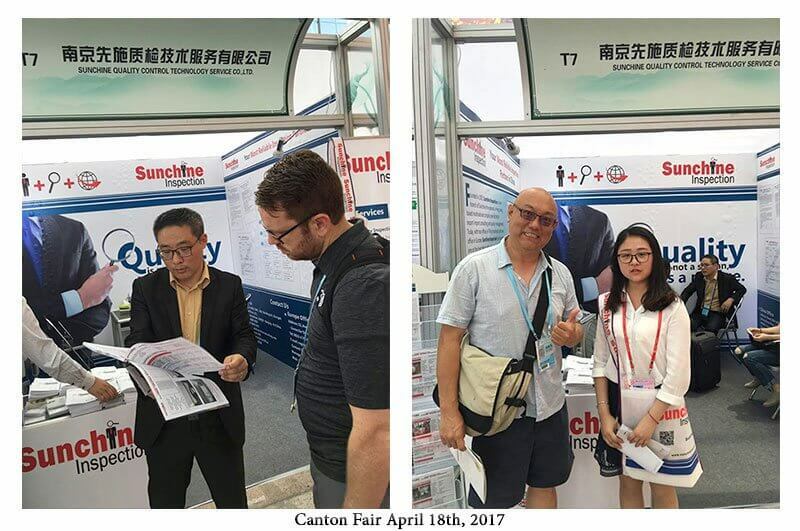 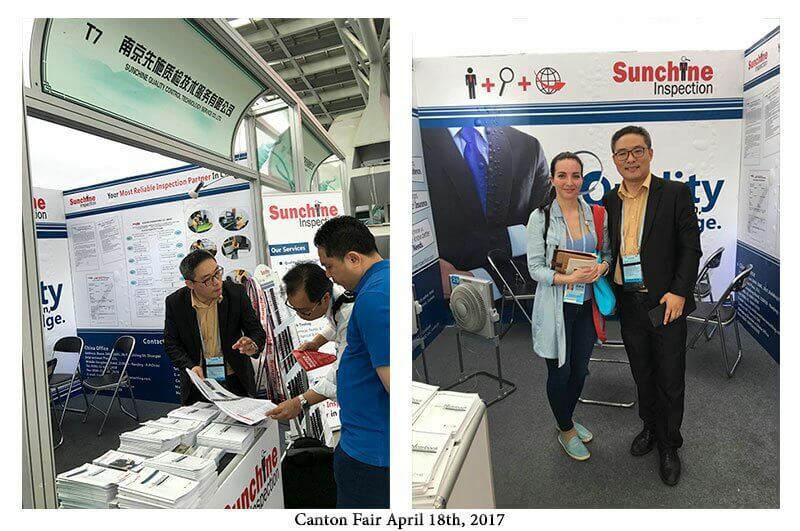 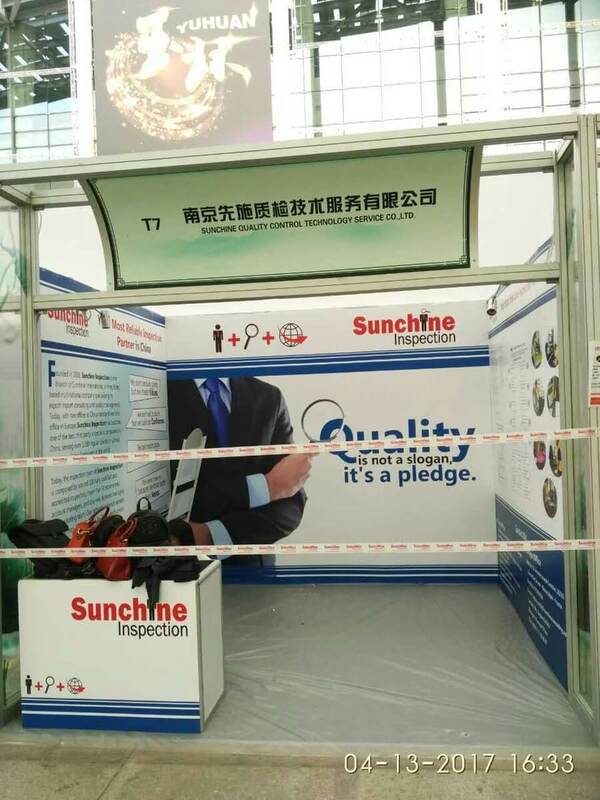 Sunchine Inspection booth T7 at Canton Fair April 2017 is situated at the connection of area A and aera B to area C.
Some photos of Sunchine Inspection booth T7 at Canton Fair on April 15th, 2016. 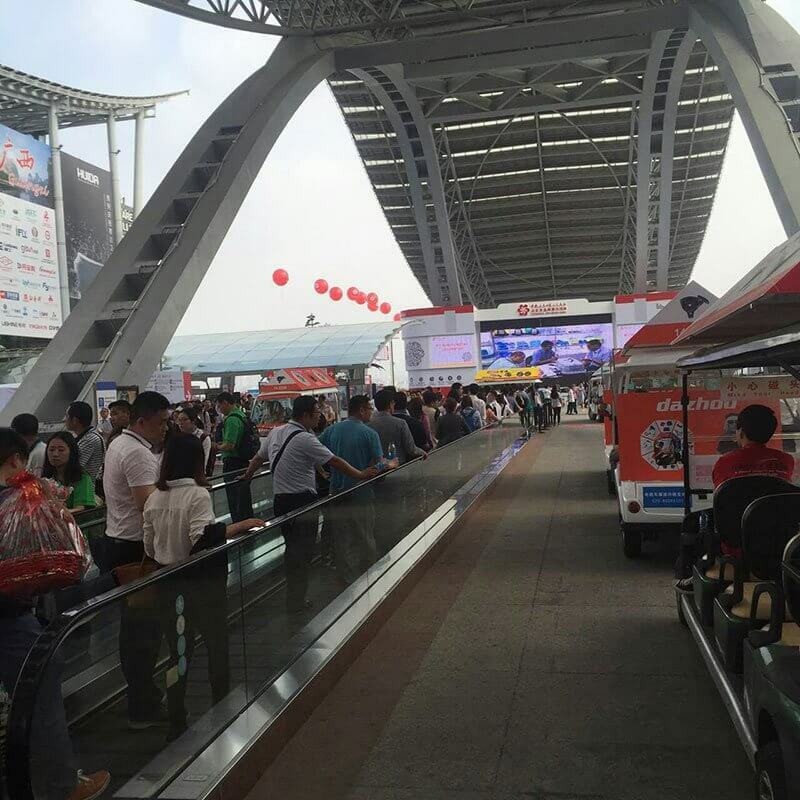 For the second day of Canton Fair there were more people than the first day. 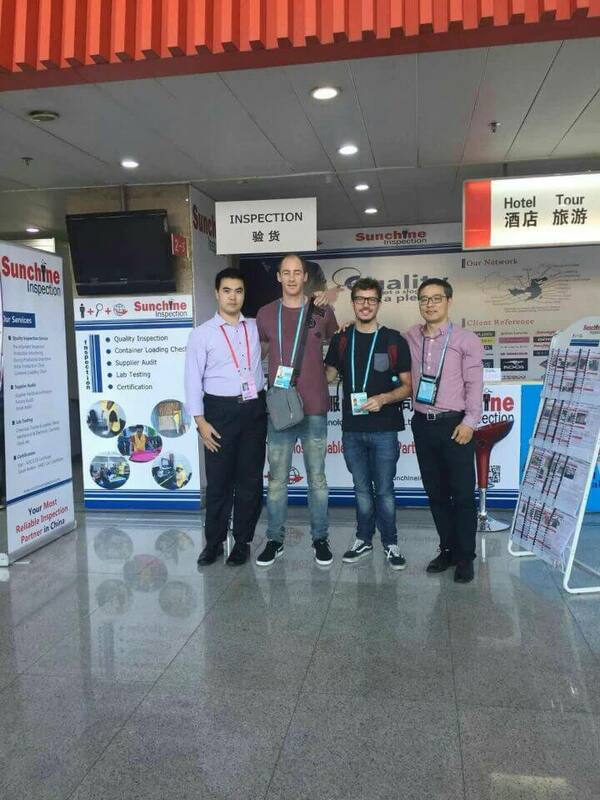 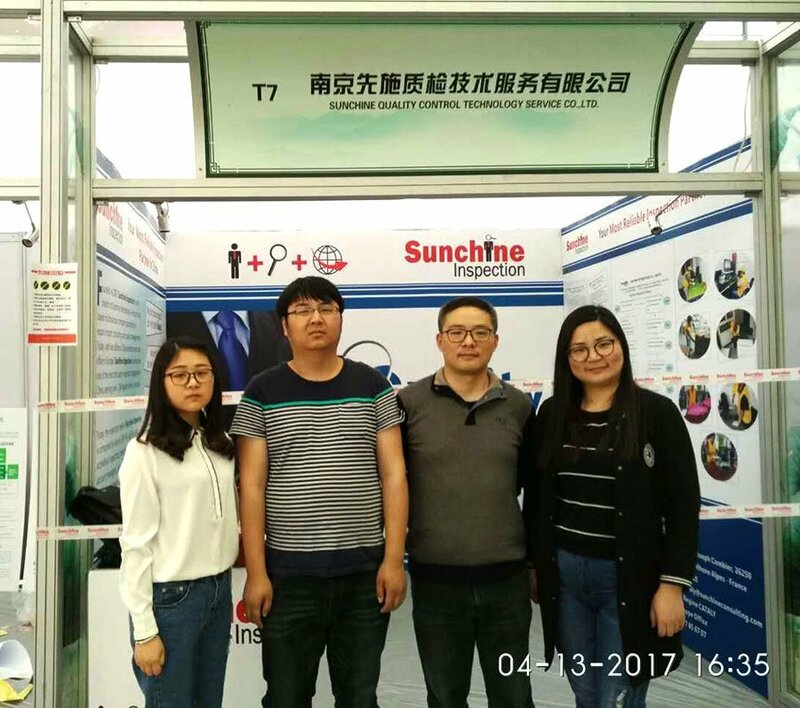 Thanks to the visitors who visited Sunchine Inspection booth. 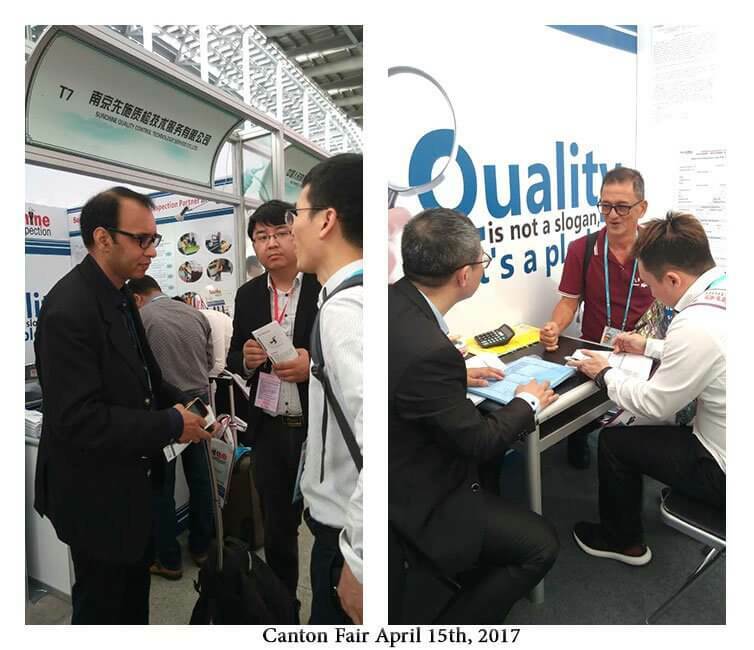 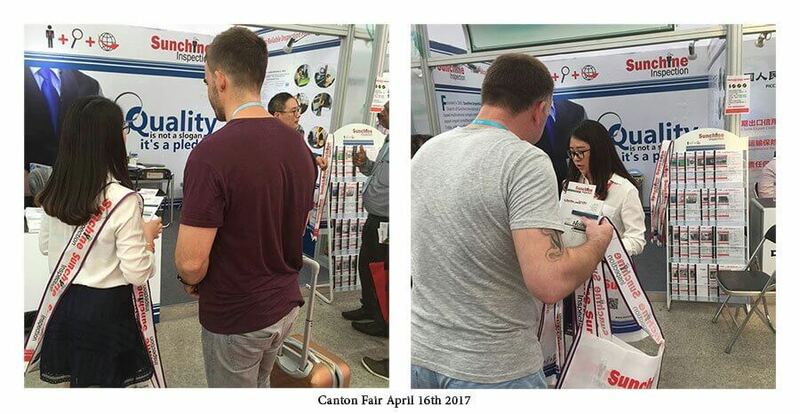 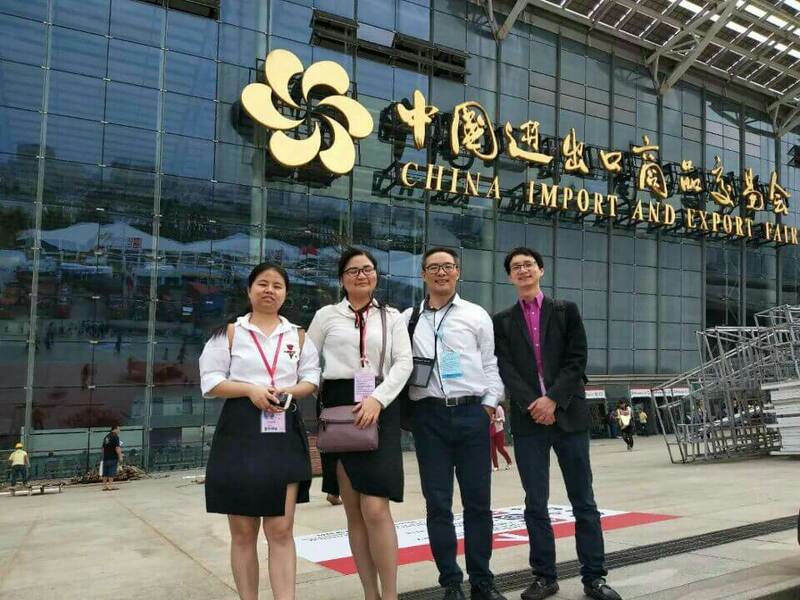 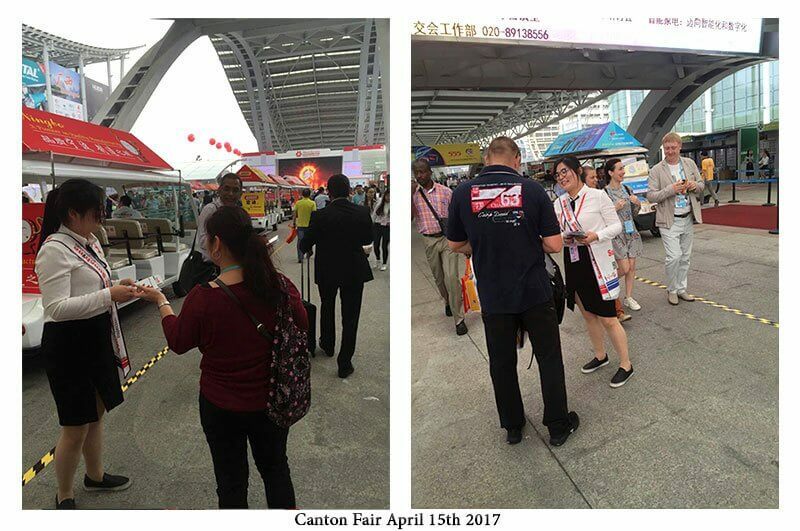 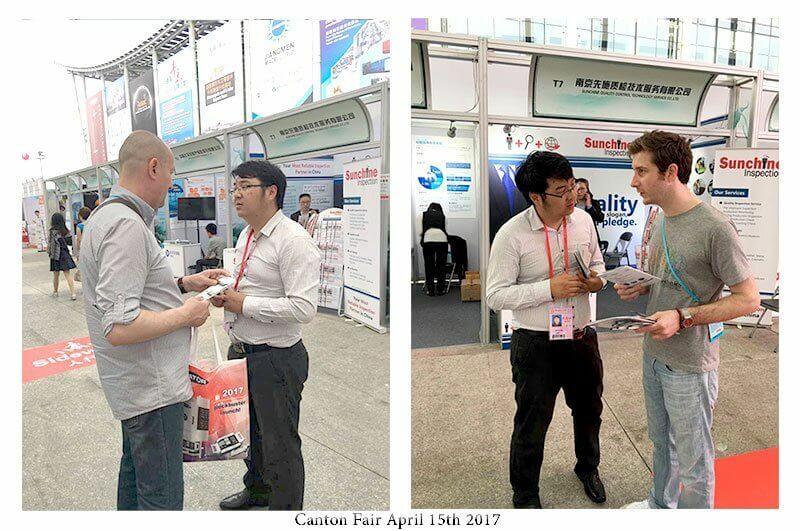 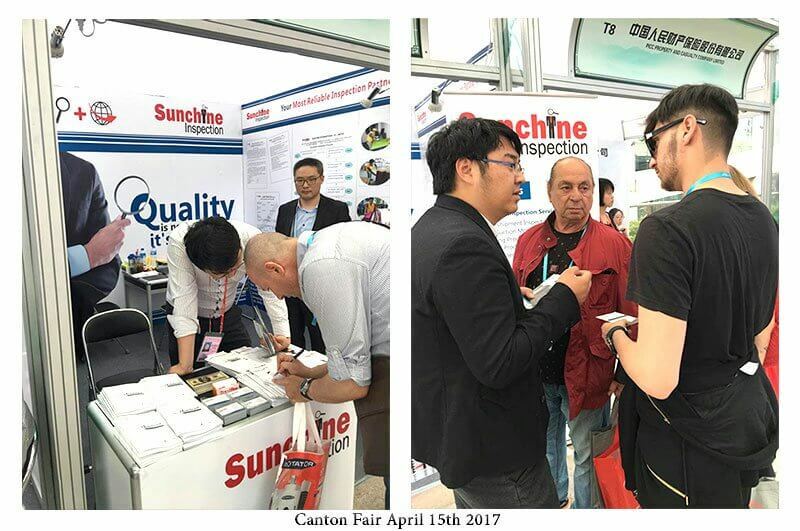 Some photos of Canton Fair on April 16th, 2017. 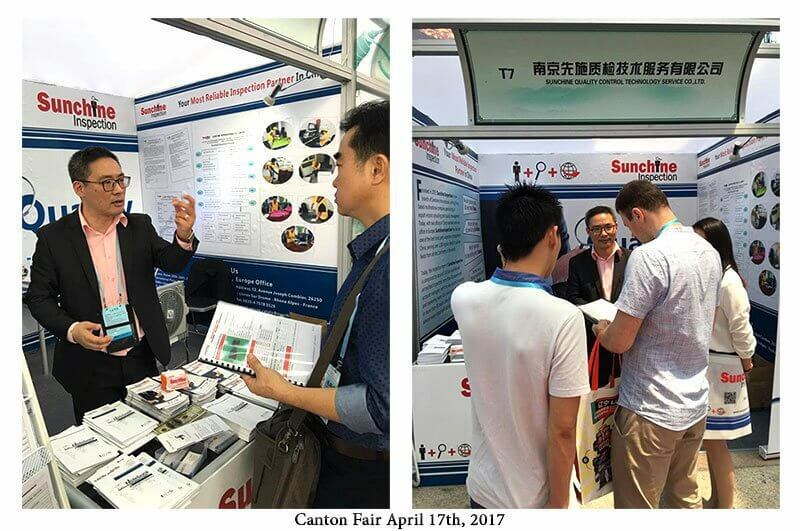 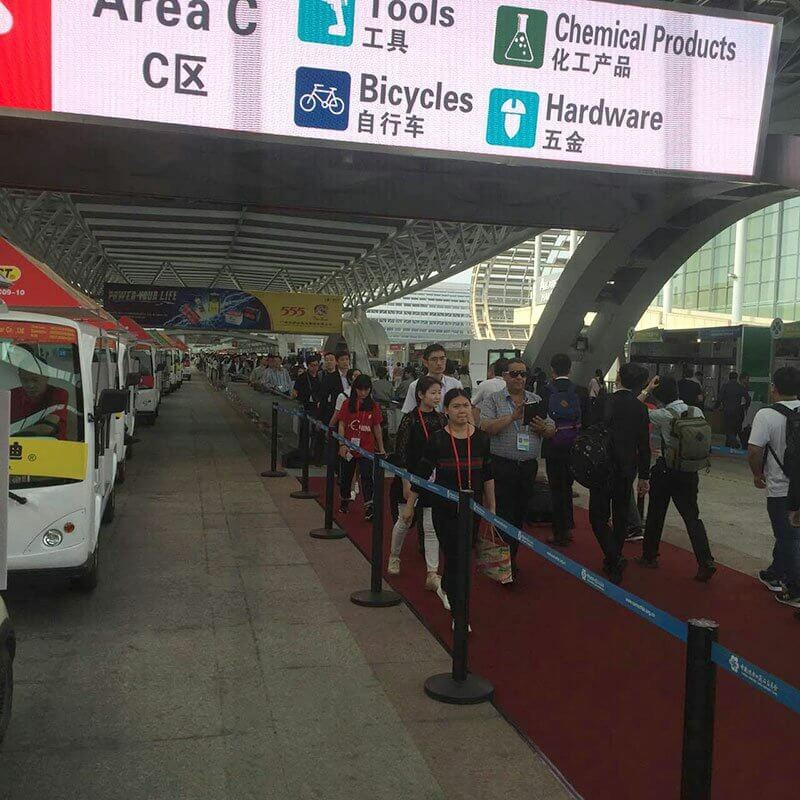 Many visitors attended the 3rd day of Canton Fair in Guangzhou. 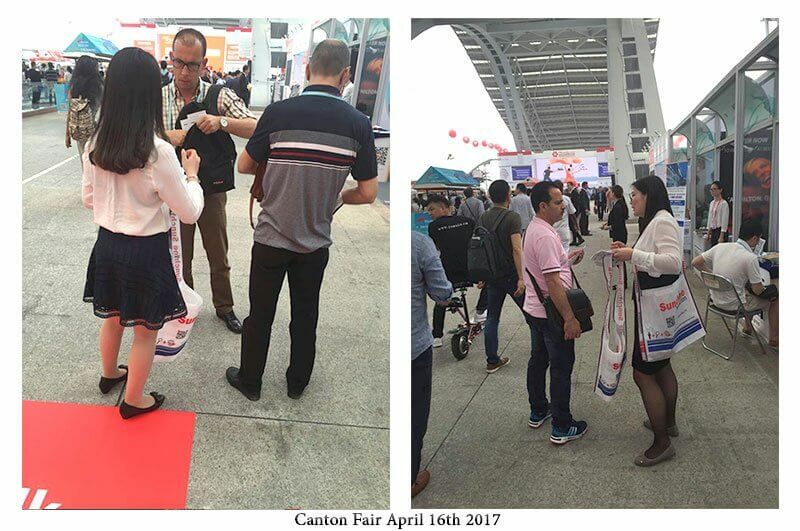 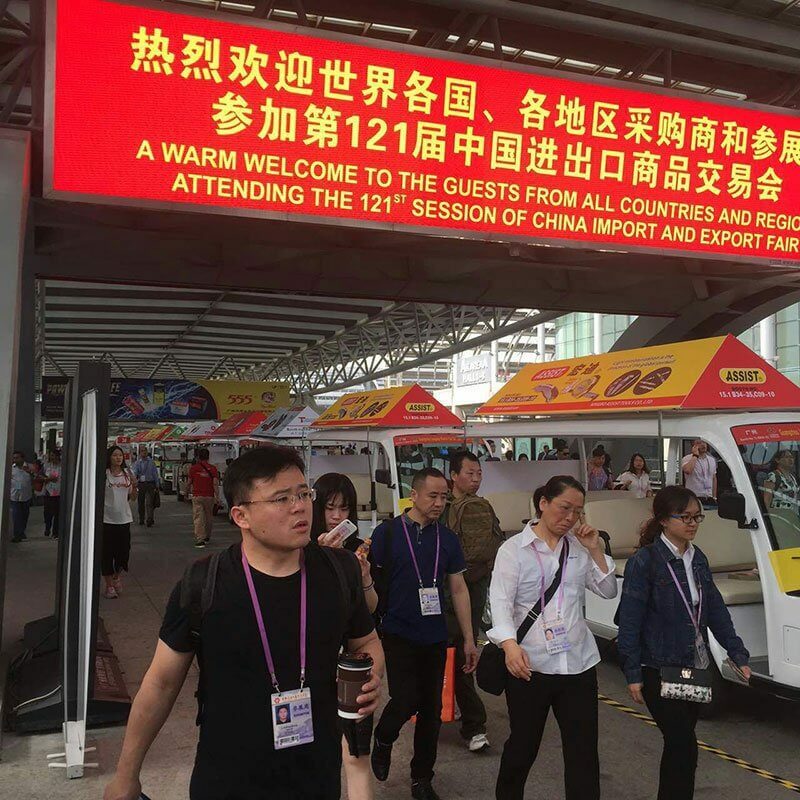 The first phase of Canton Fair will end on April 19th. 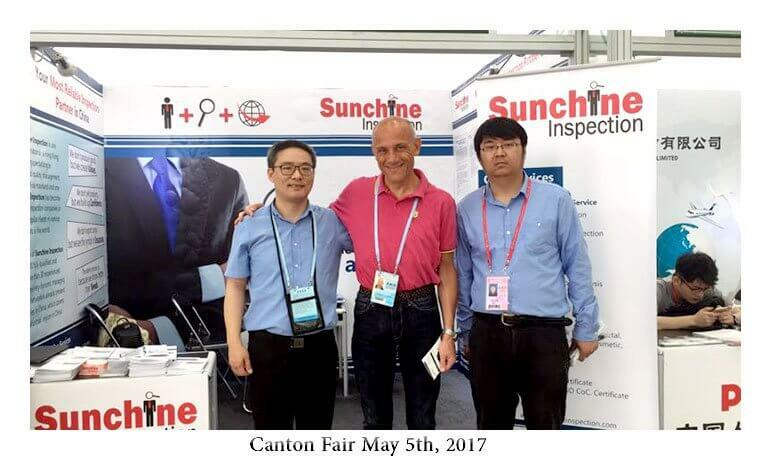 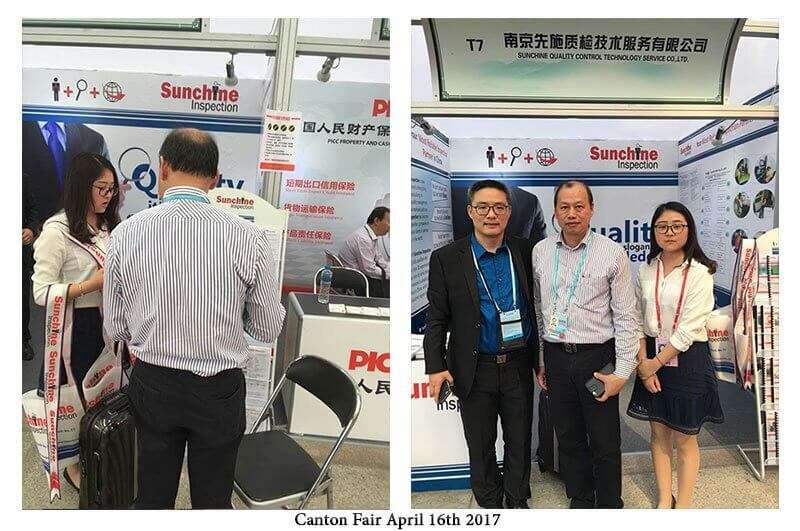 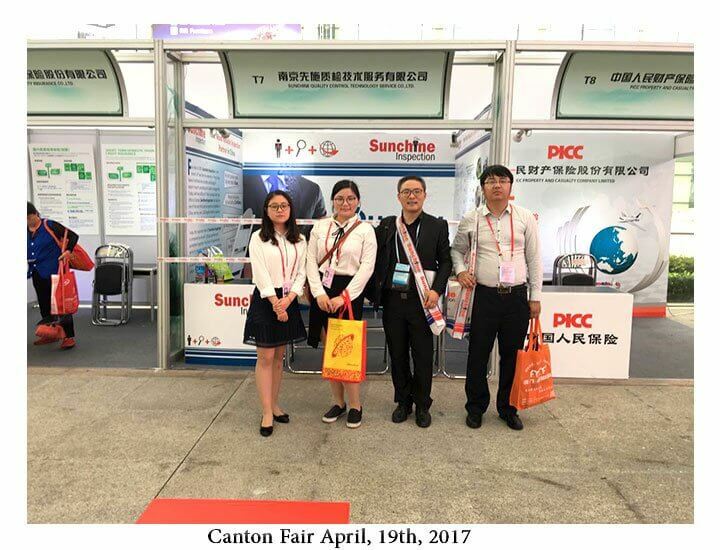 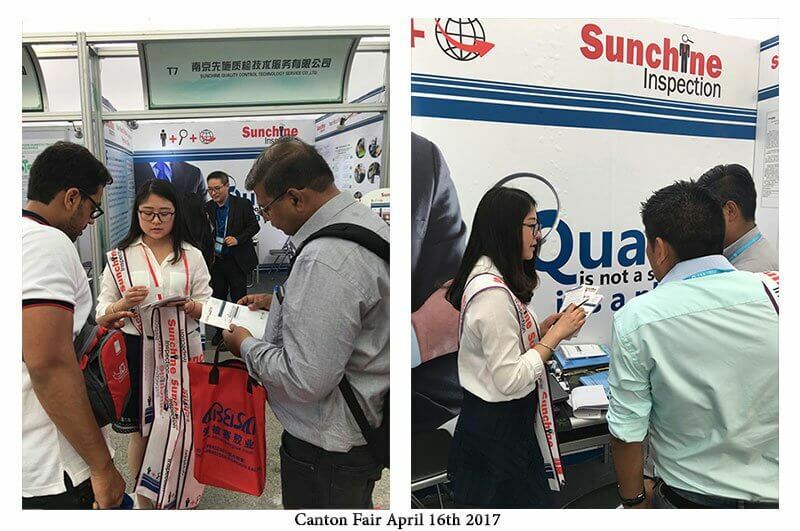 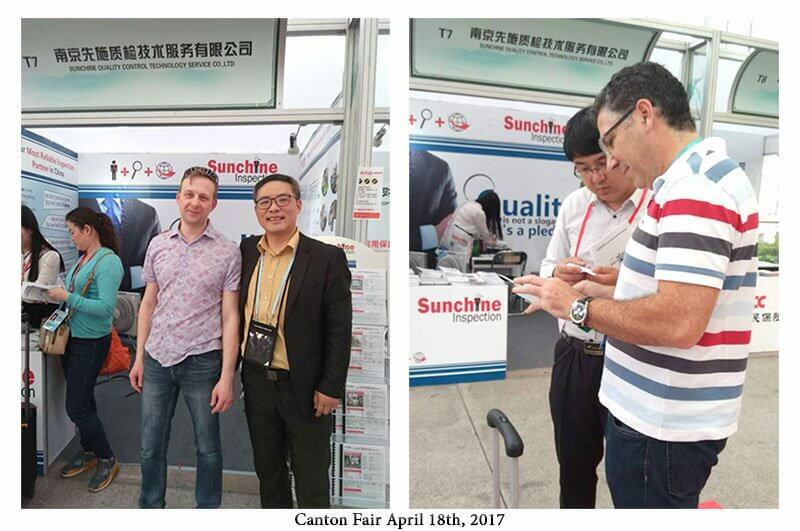 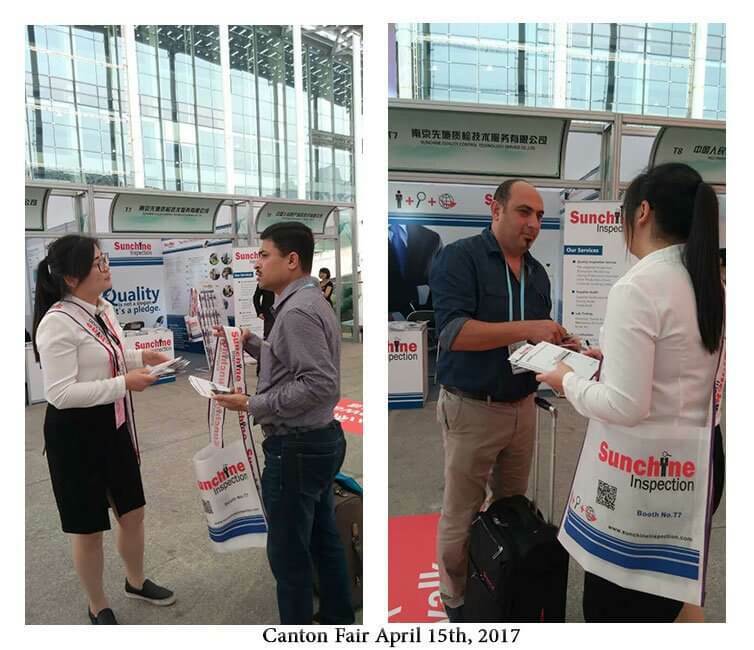 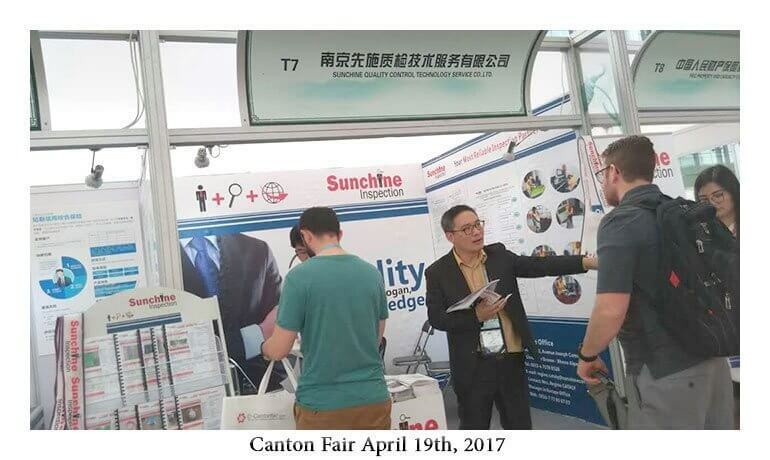 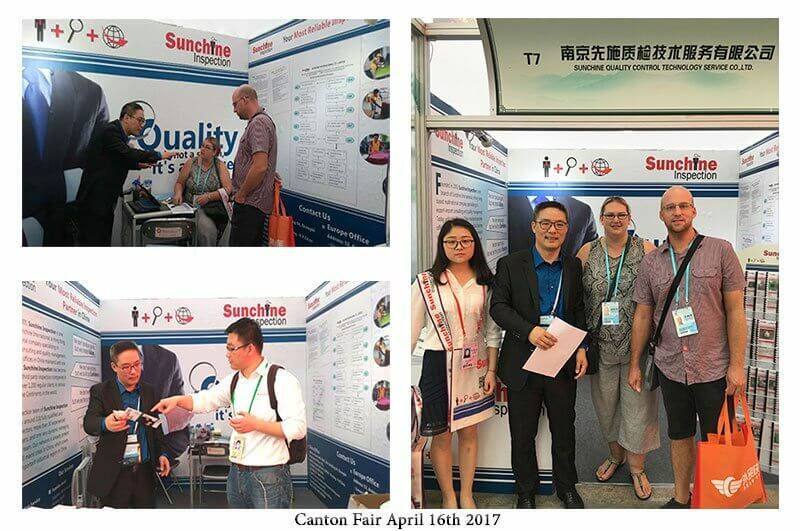 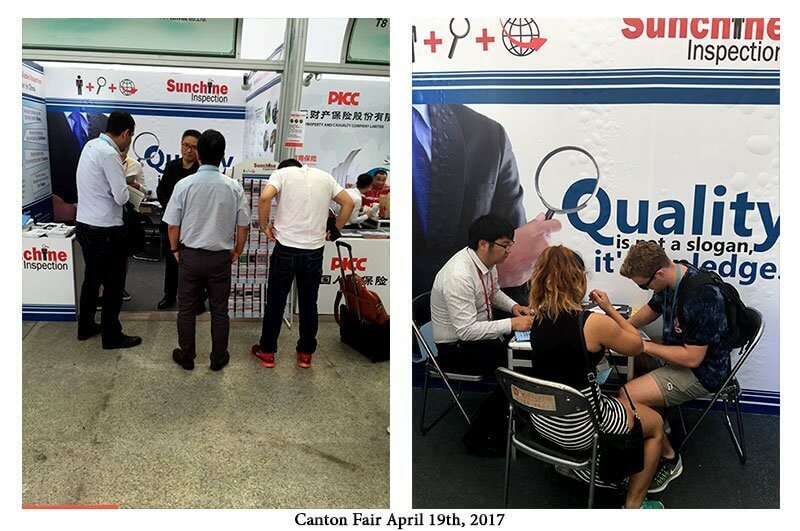 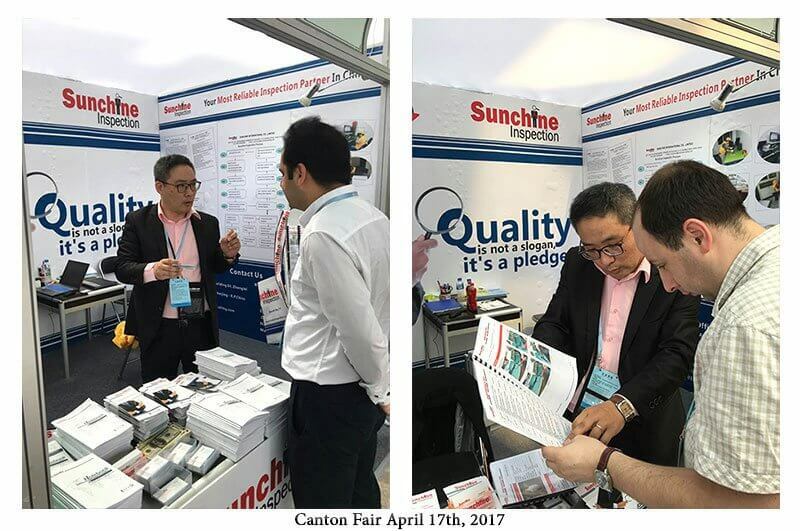 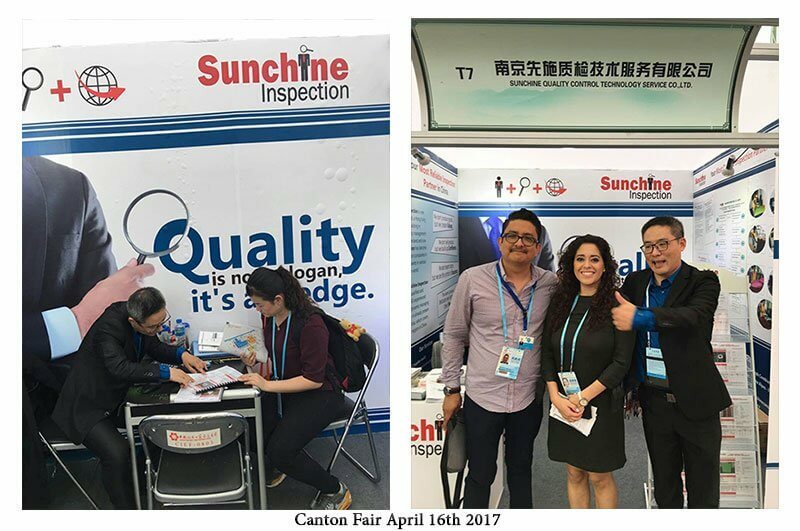 Sunchine Inspection welcomed more visitors today on their booth T7 at Canton. 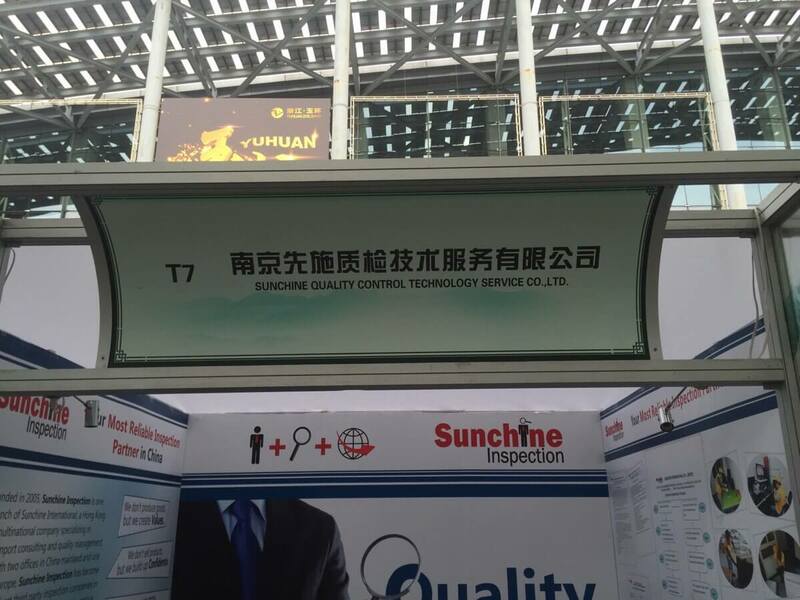 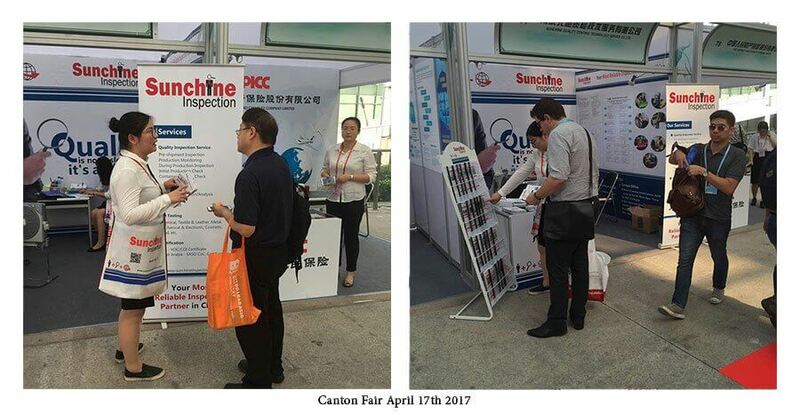 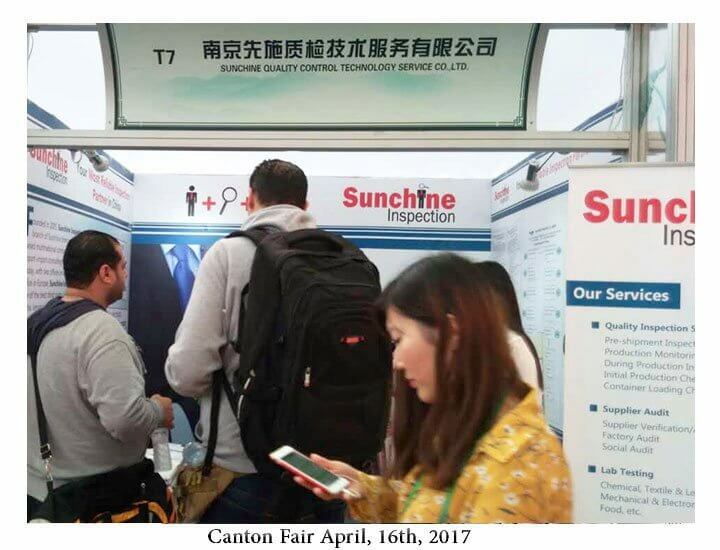 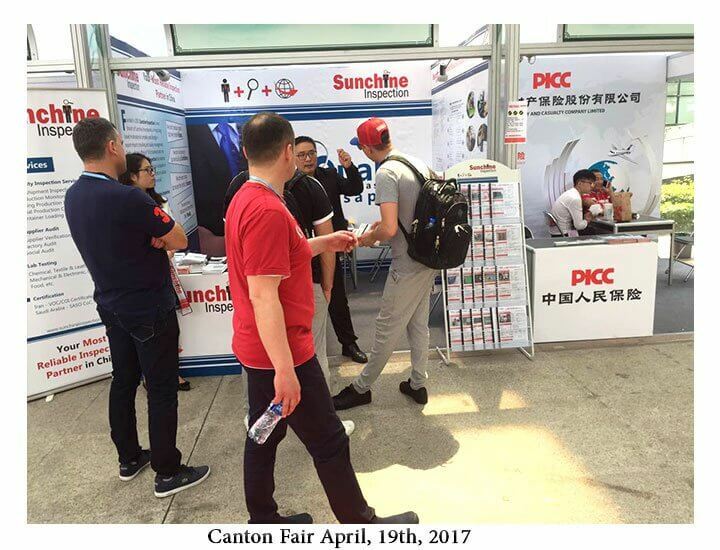 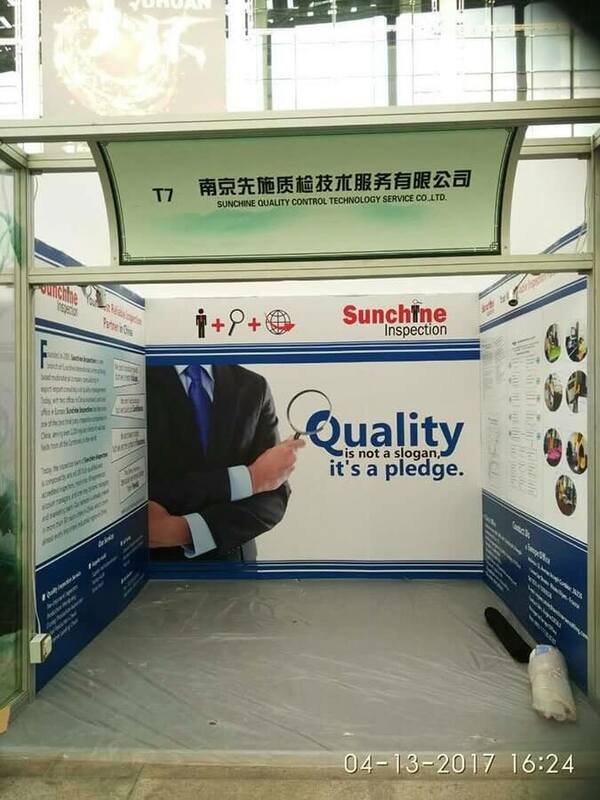 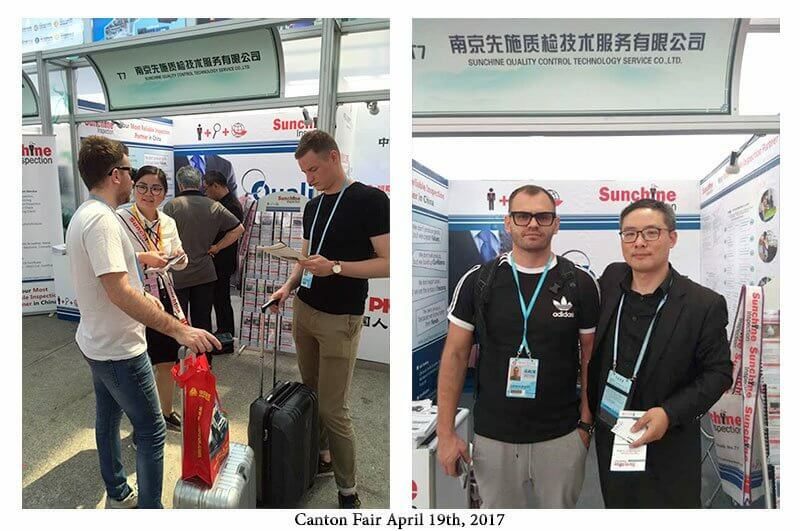 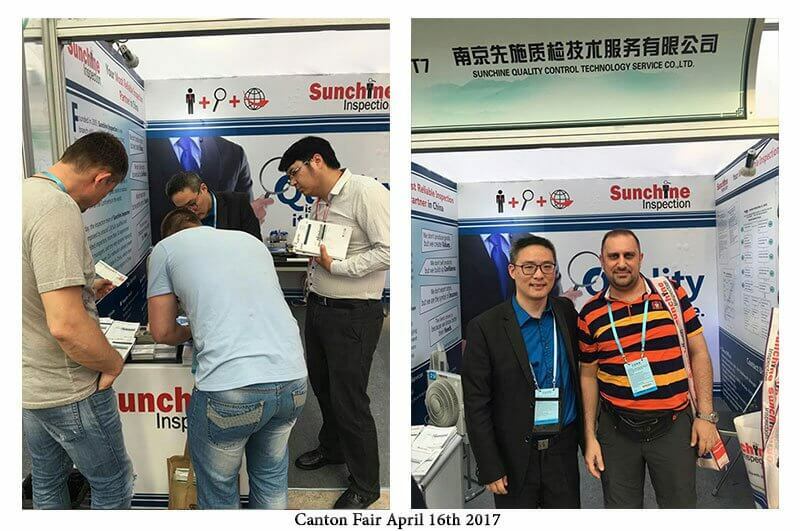 Some pictures of Sunchine Inspection booth on April 17th. 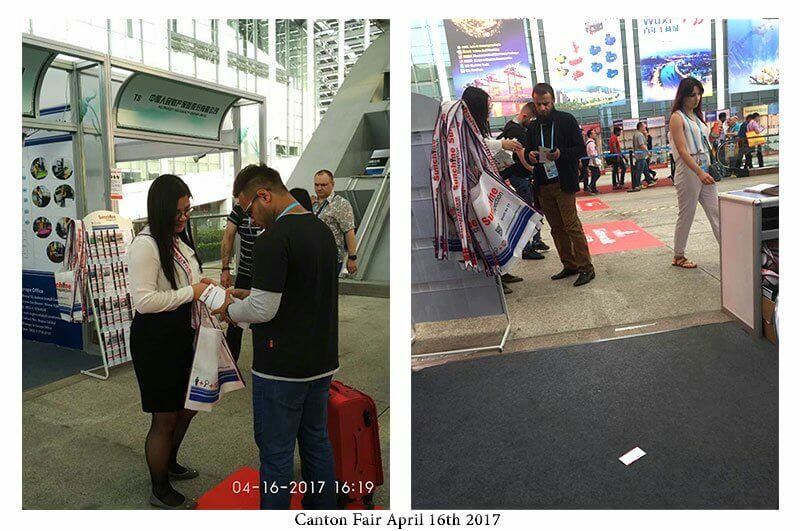 Canton Fair is phase 1 is over. 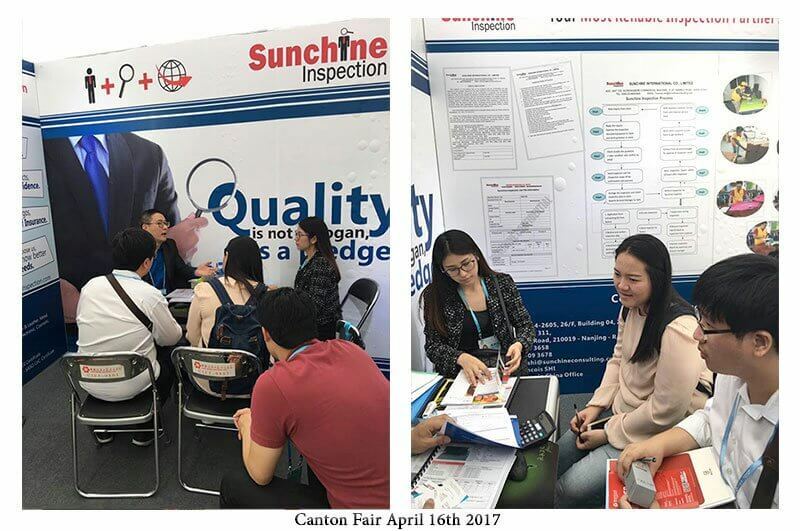 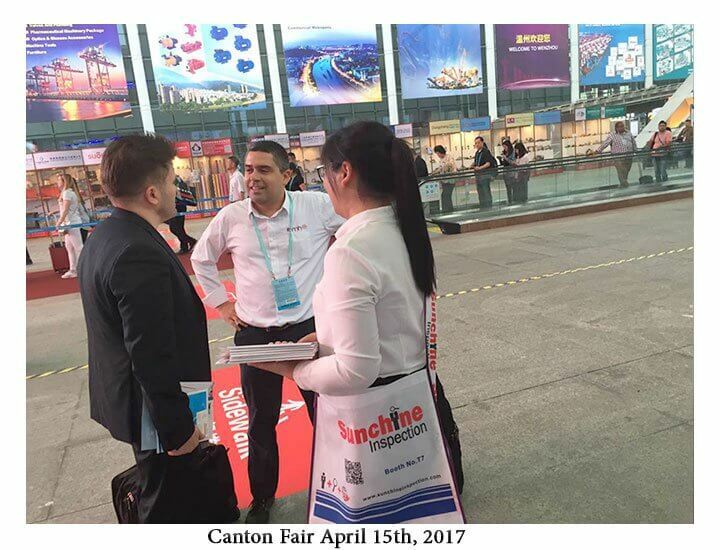 Sunchine Inspection will be back at Canton Fair for the second phase opening on April 23rd.